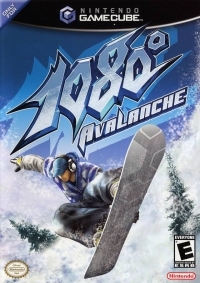 Box Text: The game that started the extreme sports genre is back in 1080:Avalanche, a heart-pounding, earth-shaking return to winter glory. Feel the ground rumble as you fly down the slope fast enough to peel the skin off your face. The other racers are intense, but your biggest opponent might just be the mountain. 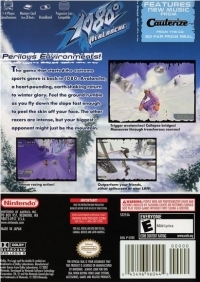 01-07-2012 pacpix Box Text The game that started the extreme sports genre is back in 1080:Avalanche, a heart-pounding, earth-shaking return to winter glory. Feel the ground rumble as you fly down the slope fast enough to peel the skin off your face. The other racers are intense, but your biggest opponent might just be the mountain.